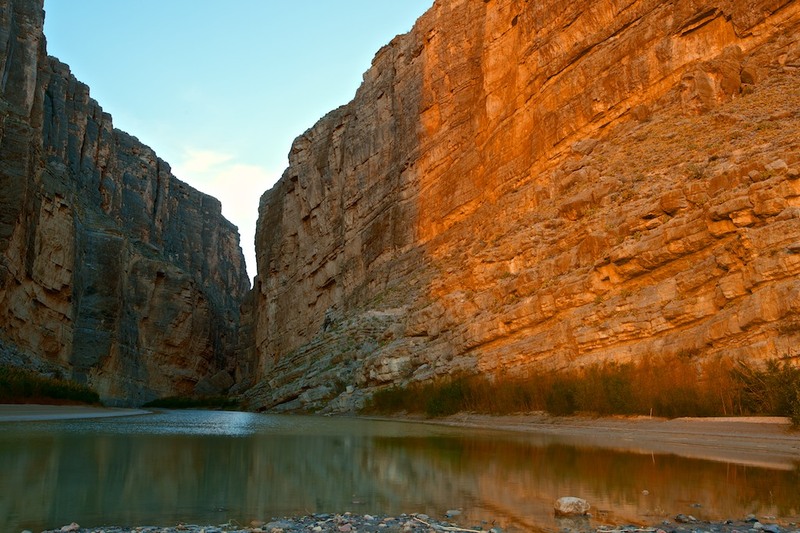 The Rio Grande river at Santa Elena canyon. The border with Mexico on the left and the USA on the right. The canyon walls are said to be 1,500 feet high. This image was taken shortly after sunrise.